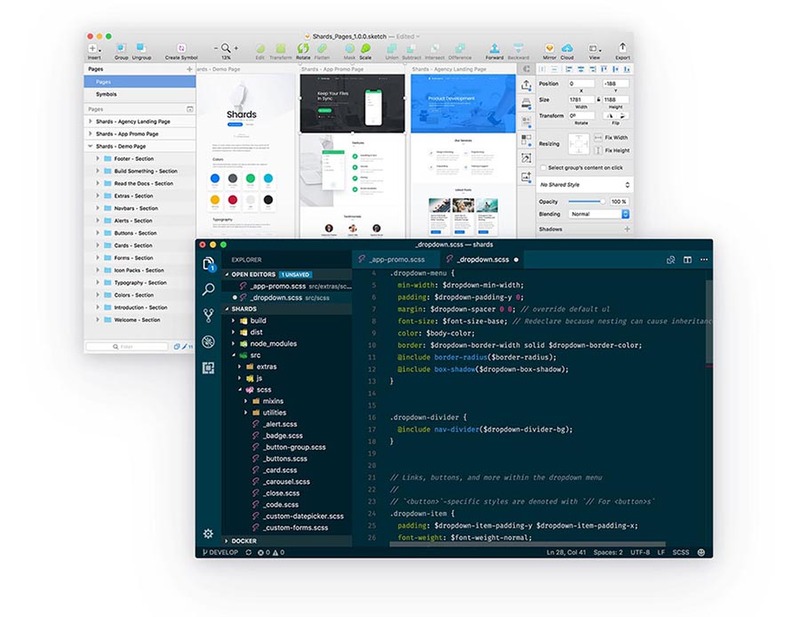 All templates are fully responsive and able to adapt and reflow their layout to any viewport size. Shards Dashboard Lite React features a minimal footprint and is highly optimized for blazing-fast performance. 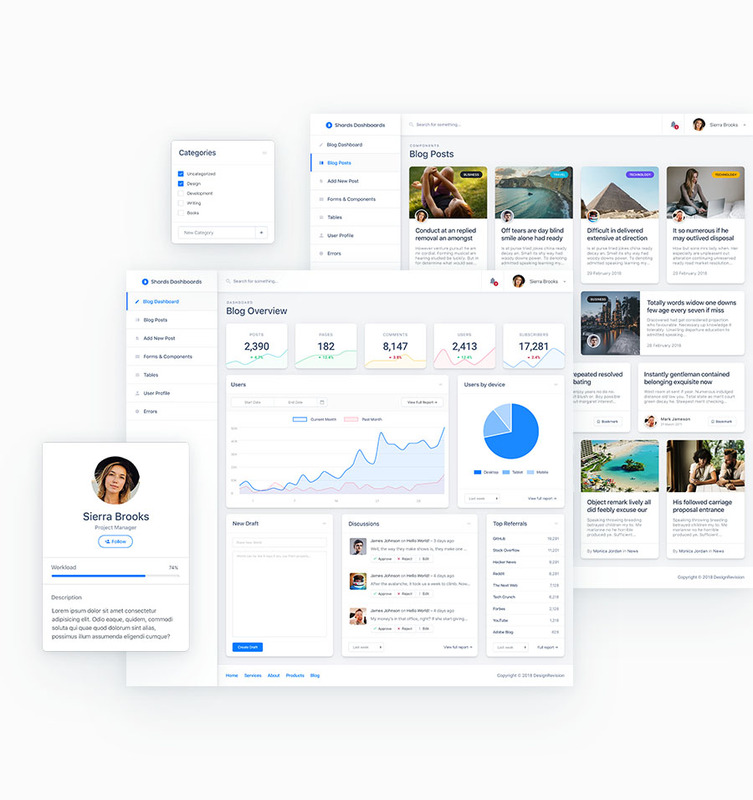 Shards Dashboard Lite React is built from scratch while following modern development best practices. Shards Dashboard Lite comes packed with templates and dozens of custom components that you can use to kick-start your next app. 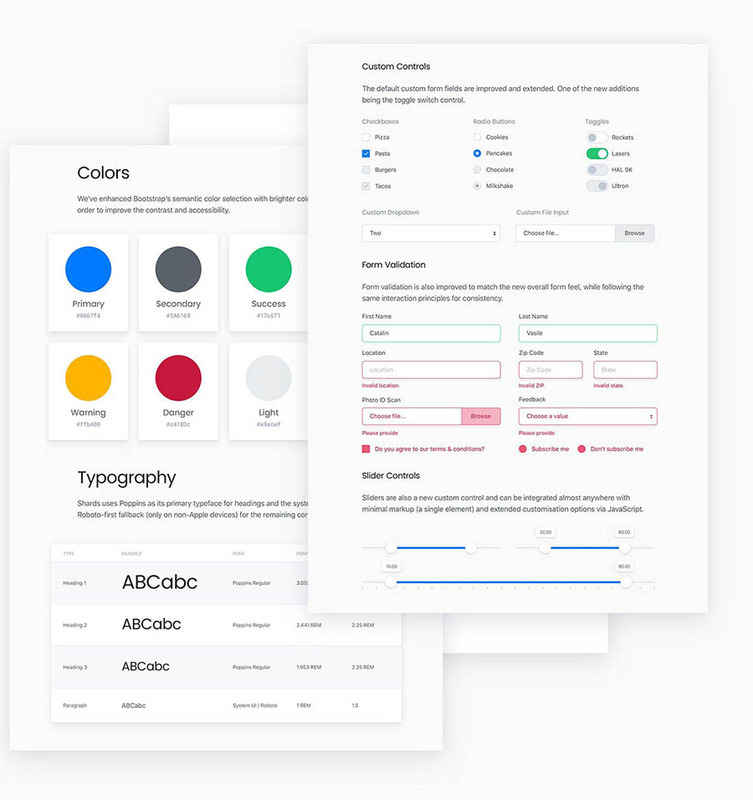 We made sure you can find the perfect icons for your app so we added the option to pick from more than 1500+ supported icons from both FontAwesome and Material icon packs. Stop focusing on the minor details! With Shards at its core, everything is designed and hand-crafted from scratch to look and integrate flawlessly, so you can focus on functionality rather than on how things look. Looking to get your hands dirty? That's great! We've included both SCSS and Sketch files so you can tailor the admin dashboard template pack to your own needs. Kudos. I´ve setup the whole package and started diving into it. Very promising!!! Good job. Thank you. Cheers! 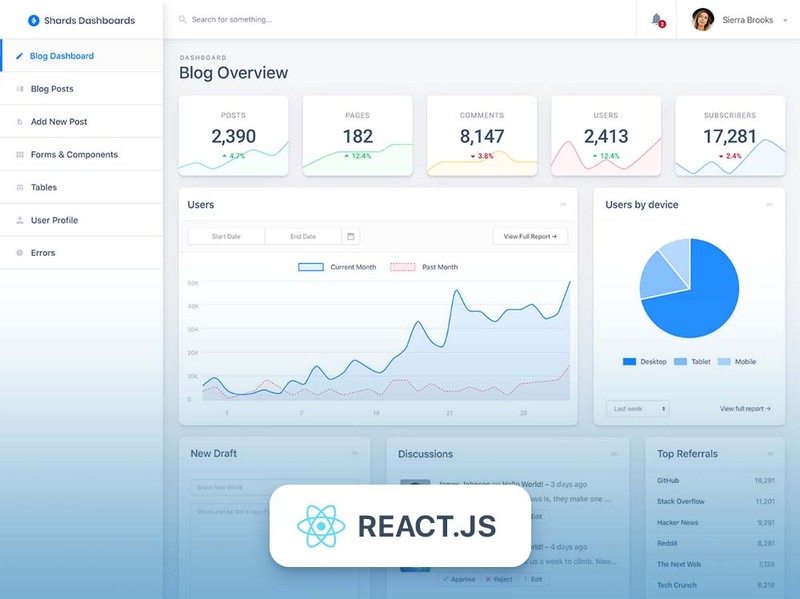 A premium & high-quality React admin dashboard template pack.